This is the labyrinth we walked through. It is done in the same style as the Chartres Cathedral labyrinth. Yesterday I visited a labyrinth with a friend of mine from work. She teaches at the school I where I work and she is a fan of meditation. 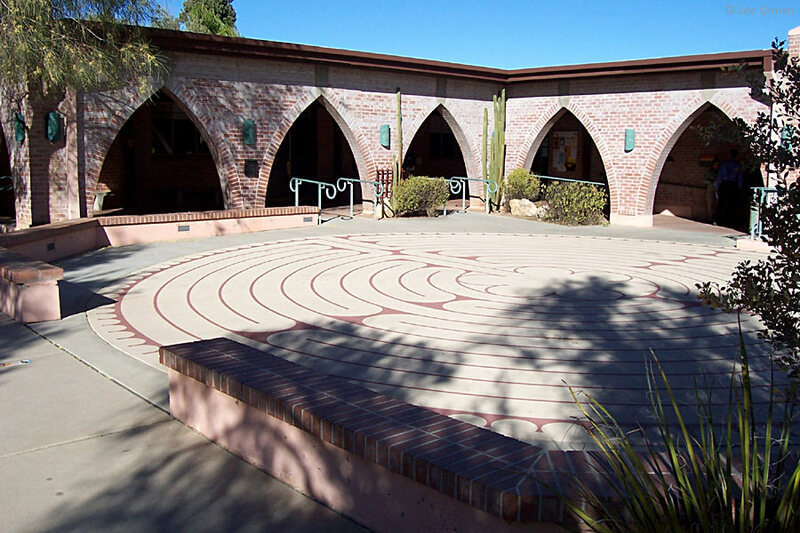 When I told her that meditation was my Healthy Habit #2 for 2014, she offered to take me to the labyrinth at a local church and to show me how she does movement meditation as she follows the circular path. Yesterday, we finally made the trip over there on our lunch hour and she introduced me to walking a labyrinth. I loved it!! For those of you that aren’t familiar with what a labyrinth is (I sure wasn’t…I thought it was just an 80’s movie with David Bowie! ), labyrinths were a feature of many medieval cathedrals. One of the best remaining examples is found in Chartres Cathedral in northern France. The one that we visited today was a replica of that one. Unlike a maze they have only one path – there are no dead ends. You exit at the same spot where you entered, after winding your way along the path to the center, and then making your way back out the way you came. People walk the labyrinth slowly, as an aid to contemplative prayer and meditation, as a spiritual exercise, or as a form of pilgrimage. When we got there, we sat and my friend briefly told me about how she meditates as she walks the labyrinth. Often she uses little cards that have one word written on them – words like inspiration, light, peace, hope, etc. She chooses a card at random and uses that as her focus for meditation as she walks. So I chose a card; mine was “inspiration.” That seemed perfect, as I was feeling inspired already just being there. The church where we were was one that I had been to before, for an AA meeting. When I was there, I had probably walked right across the labyrinth and not even noticed it. If I had, I wouldn’t have known what it was anyway. There were quite a few people around, maybe some 12 step meeting had just gotten over, or some other sort of gathering. There were people milling about, talking to one another, there was a guy riding around the church campus on a bike, and someone across the street at a house talking to the mail man. It wasn’t quiet. It was warm outside, the sun was at the top of the sky and while there were some really nice, big trees around, the labyrinth was getting full sun. We made our way to the entrance, my friend going in first and me giving her several feet before I started. I carried my little “inspiration” card in one hand and my prayer beads in the other. I was surprised as how quickly I was able to shut out all of the audio debris around me. I was soon able to concentrate on what I was thinking and praying. I was able to hear the gentle breeze as it whispered through the trees and I was able to hear birds singing that I hadn’t noticed before. As I progressed inward to the center of the labyrinth, I prayed for inspiration. Inspiration for me in my writing and I prayed for the ability to inspire others. I prayed for inspiration for my husband and our friend as they talk about starting a new church plant. On my way back out, I prayed prayers of thanksgiving for all that God has inspired me to do and to be. I thanked Him as I always do for the life He has given me. When we finished the labyrinth we sat down again to talk about it. It had become quiet, I felt very peaceful and relaxed. My friend said that was almost always her experience; that at first there is noise and distractions, but by the time she finishes, there is a quieting of those distractions and noise. There is peace. I wonder if it’s really quieter, or if we are just choosing to hear things differently, as we’re in a different state of mind? March is here and that means it’s time for a new Healthy Habit. 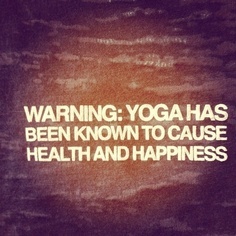 This month I have decided that I am going to give yoga a try. I have heard so many good things about it, but have never done it myself. You’ve probably heard the same list of healthy benefits of yoga that I have: increased flexibility, stronger muscles, less achy joints, stress relief, and more restful sleeping. But I also read that yoga has some other benefits that I didn’t know about. Practicing yoga can strengthen bones and prevent osteoporosis. It can also get your blood flowing and improve circulation, which, in turn, leads to a healthier heart and a decreased risk of heart attack. Yoga can also aid in weight loss (woo hoo!! ), and boost your immune system. So yesterday, I went to Target and bought myself a DVD for yoga beginners. Before I try any classes around other people (I’m 42, a little overweight, and terribly uncoordinated), and embarrass myself, I thought I better give it a try in my living room. I’m going to give the DVD a test run as soon as I finish this post. I’ll let you know how it goes. For the month of February, I started meditation as my healthy habit. I have still been meditating in the morning. I have missed a few days throughout the month, but have been pretty successful in staying consistent. I started with guided mindful meditation and I find that I really like it first thing in the morning. I have tried to keep my morning a routine and that seems to work best for me. 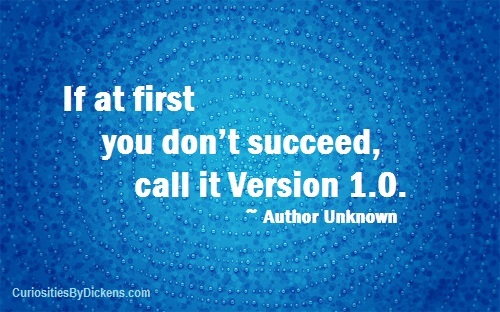 When I first get up, I make coffee and sit and journal as I have my first cup. When I finish writing, I go sit in my comfy green chair and meditate using the app I downloaded to my phone. I started at 5 minutes and have moved up to 15, but on rushed mornings I go back to 5. What I have noticed is that when I meditate, I feel calm and mindful. I am able to be in the present without anxiety and fear. I am more aware of my breathing and what my body is feeling. It’s an absolutely wonderful feeling, and I only wish that it would last all day. As I continue to mediate, I don’t think that I need to add more time to my morning sessions, instead I think that meditating more times throughout the day will be even more beneficial. I was concerned in the beginning about being able to turn my thoughts off, but I quickly learned that clearing one’s mind isn’t the point. 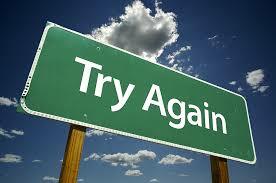 The point is to learn how to redirect unfavorable thoughts as they come up. While the calm, mindful feeling doesn’t always last as long as I want it to, the redirecting my thoughts and concentrating on my breathing has stuck. I have found myself on a number of days in stressful situations at work. I have consciously redirected my thoughts about the situations by closing my eyes, breathing deeply and reminding myself that, in that moment, I am alright. It works! I have also been trying to incorporate metta meditation into my day. One of my fellow bloggers over at Mished-Up, commented that she enjoys metta mediation, so I did some reading up on it and have been practicing it along with the guided meditation. Metta meditation, or lovingkindness (isn’t that an awesome name for it? ), is a type of mantra mediation where you repeat phrases of loving kindness out loud or to yourself, beginning with yourself and working outward to your family, friends, coworkers, acquaintances, strangers…as far as you would like. As I inhale, I use statements like: May I be strong, May I be mindful, May I be well, May I be joyful. And I as I exhale I focus on breathing out the opposite: Gone is weakness, Gone is worry, Gone is illness, Gone is sadness. And I continue outward with the other people in my life, wishing them the same things I wish for myself. I really love this meditation. It’s repetitive but I like that…so far the phrases have not become rote, and I truly feel each one as I say it. So after a month of meditation, would I say that it’s a keeper? I think it’s definitely something I want to explore more. I see the benefits and I feel better when I do it. I think that’s reason enough to do some more practicing, don’t you?